I'm here today to show you the work that I did for a notebook swap that was organized in the Copic Spain-Facebook group. The notebook had to be completely hand crafted and had to use an image coloured with Copic markers. 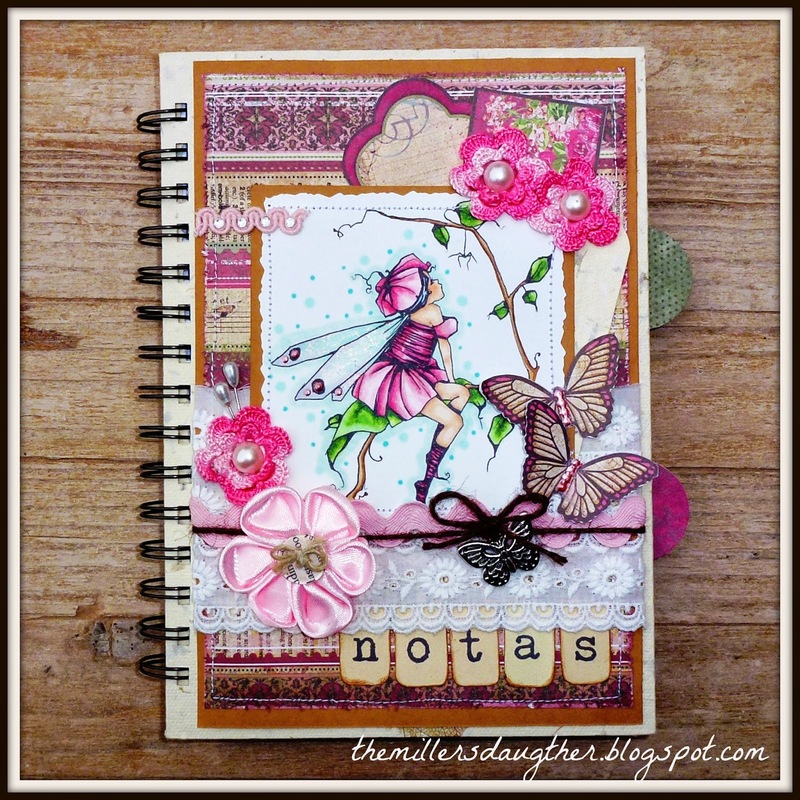 In this notebook: Digital stamps from A Day for Daisies, papers from Hot off the Press, Inc., Roses in Harmony Collection, all flowers hand crafted by myself. Image coloured with Copic markers: E000, E00, E02, E11, E31, E35, B21, YG23, YG67, G00, Y00, BG10, RV10, RV11, RV14 and RV17. Some images of the front, back and dividers. 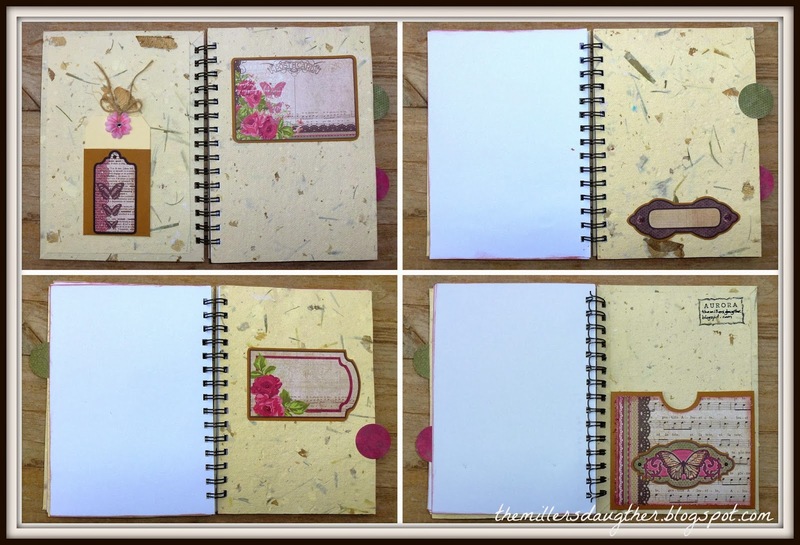 Some images from the notebook before being decorated. 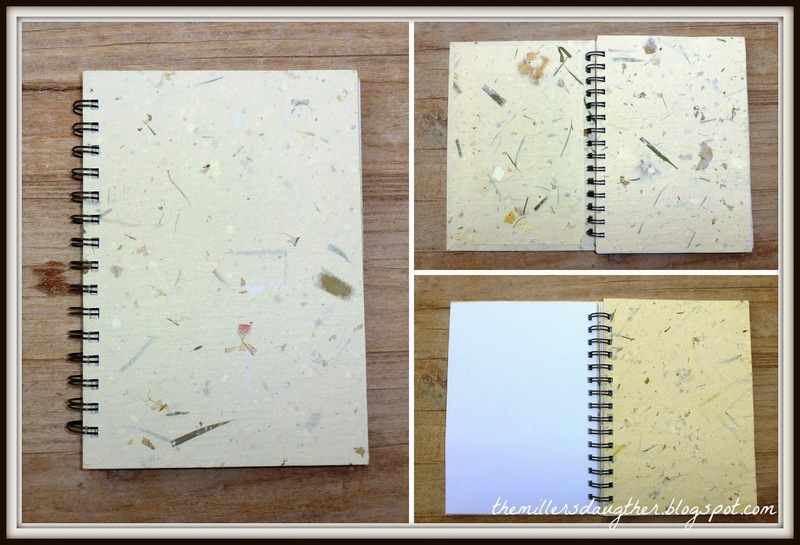 I made the covers and inside dividers with natural paper. Hi Sanja, I'm glad you like it. I had lots of fun putting all the flowers and embellishments together. Es preciosa Aurora, me encanta como te ha quedado el sello y las flores. Muacs! Me encanta la libreta! y lo mejor de todo es... que es mía :) . Gracias de nuevo Aurora!! Wow this is a fabulous piece! Such great original work. 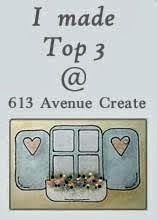 Thank you for sharing it with us at Hiding In My Craft Room! Beautiful notebook. Very sweet image and you used beautiful colours. Hi Aurora! This is just gorgeous! Love the colors, ADFD image and the flowers you made...wow!! Thanks for playing in our neighborhood this week!